September’s birth flower is the Aster – symbolising love, elegance and patience. Named after the Latin word for ‘star’ due to it’s star-like shape, Asters come in a variety of bright colours like pink, lilac, white and mauve. 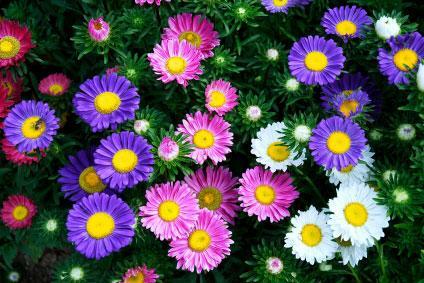 Asters are long lasting with a vase life of up to 14 days, if stems are trimmed and water is changed regularly. Great on their own in a small vase or bottle, or part of a larger arrangement with other wildflowers like sunflowers – contact us for the perfect Aster inspired Spring bouquet to suit all tastes and budgets.